Mens Health Magazine Encouraging People To Becomes Hypnotherapists! So with my fitness regime carefully planned each day for the next 16 weeks, I have also been reading from cover to cover my monthly mens fitness magazines much more avidly than I was doing at the end of last year… I have subscriptions to Men’s Health and Mens Fitness magazines and they are both packed full of stuff each month. Want to beat the job market? If you’re worried you’ll find yourself out on a limb, it’s time to recession-proof your career. These jobs will make you fitter, happier, healthier and richer. Ok… Sounds interesting. The ten jobs listed were librarian, tree surgeon, wine buyer, landscape architect, college lecturer, personal trainer, session drummer/drum tutor, genetic counsellor and guess what else? You guessed it right! Hypnotherapist! They give advantages to all the jobs and little things that indicate a health bonus, or level of training required and whether they are low stress etc. 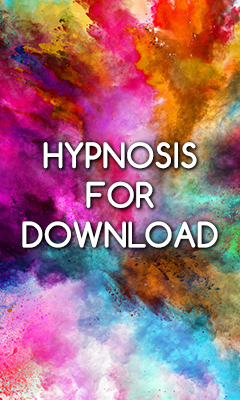 Look into our eyes… According to direct.gov.uk, the government careers advice service, the demand for hypnotherapists is rising, due to an increase in referrals by GPs. You get to explore clients’ minds, helping them overcome psychological and physical conditions) and occasionally make them stand on one leg and bark like a dog…) A series of workshops and assignments will get you recognised by the National Council for Hypnotherapy — and you can charge an hourly rate between £40 and £100. The Clincher: Peace, quiet, security and no boss — a way to grow rich chilling out. The kicker: Due to stage quacks, it will take time to build up a solid reputation. Once you get passed the tabloid, multi media style of writing, there is some truth behind this… Though you can charge more, it is tougher than they indicate to qualify with a good school and reputable organisation, though you potentially can earn more than indicated, I encounter very few hypnotherapists who actually do. There are a proliferation of hypnotherapy “business gurus” out there who have not actually earned a great deal by seeing one-to-one clients themselves but manage to convince people that they are successful and therefore hypnotherapists struggling to build a business spend what little budget they do have on systems and approaches that are anything other than proven and usually flawed. Made me smile wryly when I found my monthly fitness literature fix punctuated with my own career and celebrated in such a manner. 1. Do you need help or support to stop comparing yourself or in another particular area of your life? Likewise, if you’d like to learn more about self-hypnosis, understand the evidence based principles of it from a scientific perspective and learn how to apply it to many areas of your life while having fun and in a safe environment and have the opportunity to test everything you learn, then come and join me for my one day seminar which does all that and more, have a read here: The Science of Self-Hypnosis Seminar. Alternatively, go grab a copy of my Science of self-hypnosis book, it’ll help you to recognise that you matter! I am delighted to be running London yet again and it is a fabulous thing to do any marathon in my opinion. All the best for the marathon, Adam. Given the fact that the Chancellor is currently running up and down the corridors of No 11 Downing Street shouting: “We’re doomed! What on earth is the plan?”, I doubt anyone can “recession proof” anything, even a career. I’m having flashbacks to the 1990’s and it really is odd that a man of a mere 27 years should be having flashbacks so early in his life. But seriously, I keep expecting Norman Lamont to be on the news telling us all how it’s going to get better real soon. I still meet people who think that hypnosis is about power and taking control of someone/someone’s mind. I’ve done my best and I’ve even gone into a trance and shown them that I can decide when I wake up from the trance but the “popular stereotype” still has a power. I’ve been “using” hypnosis for 12 years now and my Mum still tells me to “be careful” when I listen to a CD, download or…showing my age here, a tape. The two things that will hinder anyone’s development as a hypnotherapist are 1) The popular stereotype of what a hypnotherapist is and 2) The issue of quality. Like I said, I’ve been using hypnosis products for 12 years now. And I’ve heard some awful hypnosis recordings (usually bought off Ebay) that sound as if they were recorded in a windtunnel using a device familiar to Edison. You have to establish a reputation and prove that you’re value for money. I have a confession: You’re not the only person I buy hypnosis products from, Adam. But there is a reason I come back time after time and a reason why my iPod is currently jammed packed with your recordings. That reason is quality. You’re value for money. It’s also fantastic that you can get the free relaxation download off your website and see what your recordings are like for free. That’s a great piece of marketing and a big reason why people come back and purchase your titles. I don’t think there is such a thing as a “recession proof career” but perhaps there is. My current venture: http://www.joinmartin.wordpress.com is going really well with over 10000 people in UK, USA, Canada, New Zealand, Australia, India, Italy, Ireland, France, Dubai, Spain and many other countries visiting the blog. My new venture is coming very soon: Beyond The Question. This new venture will also include a great new self/personal development website/blog called Brand New You which will be an exciting online adventure. And yes, that was a plug. I work in the media and PR sector. These things happen all the time.